However, when our machines become as intelligent and then smarter than us, it will be necessary to talk with them on a more regular basis. But what if your fridge initiates the conversation? This is one of the many problems Blake Given faces in The Fridgularity, my satire of the technological singularity. You can get it for free today (Friday, Feb. 1) on Kindle. 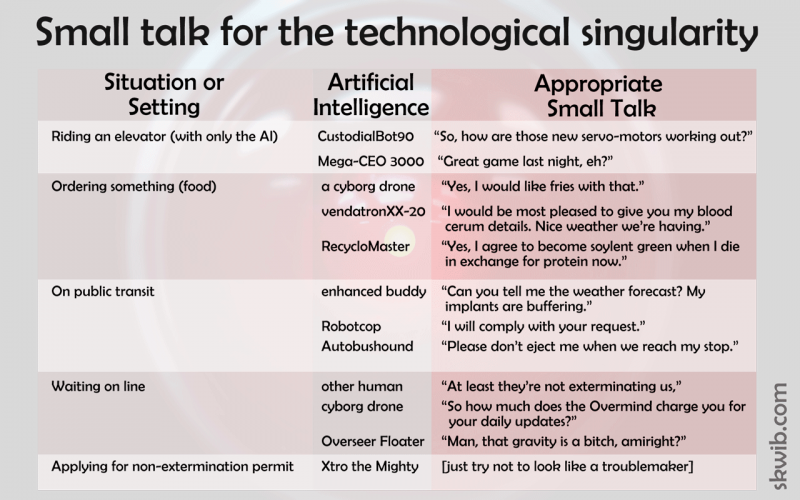 Alltop loves talking to humans. Previous Post Get The Fridgularity free on Kindle — today and tomorrow!